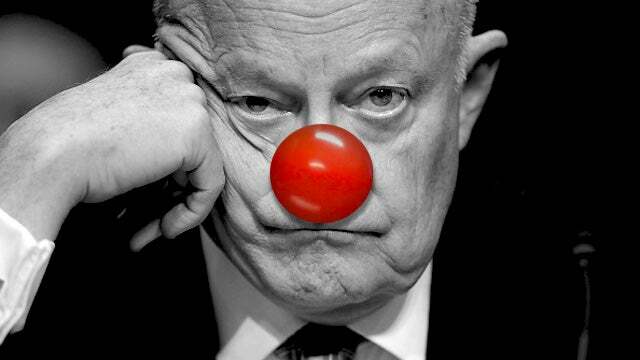 RUSH: James Clapper. This clown is all over the board. “Clapper: No ‘Smoking Gun’ Evidence of Collusion.” Story datelined yesterday. “James Clapper, the former director of National Intelligence, said he has not seen ‘smoking gun’ or ‘direct’ evidence of collusion between the Trump campaign and Russian government.” Folks, I don’t… Something is happening. Ever since the New York Times and Washington Post two weeks ago ran these stories acknowledging the spy or the informant that we now know to be Stefan Halper, acknowledging this and Clapper now going out there and saying, “Hey, it’s perfectly fine! “We weren’t spying on Trump. We were protecting Trump.” Something is about to go down. I’m wild guessing here. But there is too much CYA happening here. Now, I know the IG report is coming soon. I have no idea what’s in it. There’s all kinds of scuttlebutt about it but it’s still rumor, and I’m not gonna pass it on. But something… Some of these people are expecting not good news here. You know, I talked to Conrad Black yesterday. I interviewed him for the upcoming issue of The Limbaugh Letter. 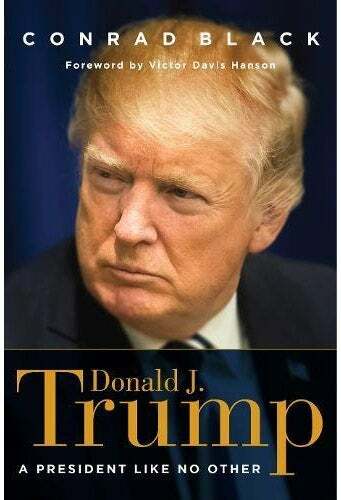 He has a great book that is out right now called Donald Trump: A President Like No Other. And Newt has a great book coming out next week about how Trump happened. Conrad’s book…. Conrad knows Trump. He’s known him a long time, done business with him. And he is confident that all of this that has happened, there’s gonna be an accounting for and that if there has been lawbreaking, law violation — if there has been a bunch of liberty taken — he’s confident that these people are going to be held accountable. Meaning the people who have been trying to run this so-called silent coup on Trump. He’s extremely confident. He writes about it in the book. His belief in it is rooted in the belief that the United States criminal justice system will triumph here, and he’s very persuasive with it. A lot of people think they’re gonna get away with it. Even if Trump is ultimately cleared, which he should be, a lot of people are afraid that all these clowns — Comey and whoever — are gonna get away with this, when they shouldn’t. Conrad believes there will be a reckoning and that they will be held accountable by the Justice Department. And he mentioned the IG, Horowitz, in this investigation that has just concluded. But now here’s Clapper after all of he’s been doing the past two weeks, going on The View and admitting that they were spying and saying he doesn’t like that word but admitting that that’s what happened. But then saying, “We weren’t spying on Trump or the campaign. “We were trying to protect Trump.” Folks, this has been about Donald Trump from the beginning. It’s never been about anything else, and it remains an effort to get rid of Donald Trump. It is not a criminal investigation. So when Rudy Giuliani is told by Mueller that Trump’s not a target, that doesn’t mean anything, because there are no targets in counterintelligence investigations. There are no subjects. There are no targets for criminal act or criminal behavior. Counterintel investigations are just that. They’re a bunch of spies gathering not evidence, but information that then analysts go through and judge whether or not it’s any good or not. Counterintel is never used to set people up for prosecution. That’s never been what this is about. They’re not gonna prosecute Trump here. This has always been about driving Trump’s personal approval and presidential approval numbers way down to the point that he would have to resign. This has been about destroying his reputation, his character, his integrity, his presidency — and they’ve failed at that. For them now to be admitting some of these things with Clapper now… This is not new! Clapper has months ago said that he’s not seen any evidence. But he’s saying it again now within the context of having admitted to the spying. Clapper has been saying this for more than a year. “I saw no smoking gun evidence of collusion before I left the government, and I still haven’t.” He said this in an interview at Vox. He’s promoting his new book, Facts and Fears: Hard Truths From a Life of Intelligence. He says, “There’s a lot of circumstantial evidence, reasons to be suspicious, but no smoking gun as of yet.” There isn’t gonna be. There isn’t any evidence. There wasn’t any collusion between Trump and Russia no matter what. They would have found it if there was. They’ve had a spy looking for it! They don’t have anything. The point is with all these people now starting to — not “all these people,” but Clapper. I wish I could tell you more; I wish I knew more. It’s just a gut feeling I get that there are a lot of people beginning to run scared. ‘Cause, folks, when you get right down to it, you might think — if you pay attention to it every day — this has been a rousing success in that Trump has been targeted every day with lies and distortions and attacks. You might think that that means success because these people for a year and a half, day in and day out, multiple times a day have destroyed Trump. But they haven’t is the point. They haven’t destroyed him. He’s still there. His agenda is moving forward. He’s digging the job. He’s enjoying it. He’s moving forward and accomplishing great things. They have failed in the big picture. Their effort was to destroy Donald Trump in the eyes of the American people, and they haven’t moved the ball an inch in that regard. Now, I don’t know what this means for Mueller and what he’s gonna do. He’s gonna have to issue a gigantic report. And it’s not over. I understand that. But at this point in time, there’s been so much that has been outside the norms. There has been so much here that seems to have been the result of deep corruption. And there has to be an accounting for this. And there have to be people at this stage really worried that they’re going to be held accountable. And they’re beginning to conduct themselves as such, I think.